September 20th Release Candidate is here! 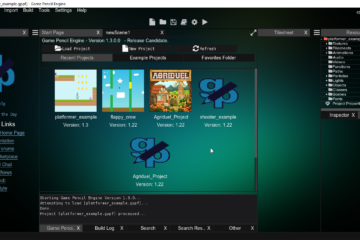 I’m sure a lot of people already know this if you follow us on Twitter, but today I’m proud to say that the Game Pencil Engine IDE is now available on Linux. It is essentially the same experience as the Windows version with some platform-specific changes. Please begin the testing via our itch.io page and report any unpleasantness to us. 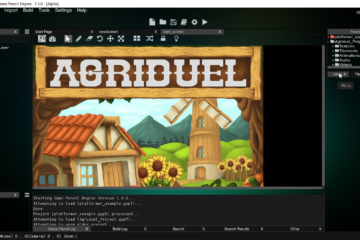 The IDE currently was tested on Ubuntu and Linux Mint[Both on 64bit machines compiled for 32bit machines]. Some may have confused one of our previous tweets with a reveal date for the NX. I was stating my resolve to develop the engine also for the future NX hardware. But as it stands we are not YET an official middle-ware for the new platform. But zeal for it already consumes me. So for now I plan to discount the Game Pencil Engine Deluxe Edition by 60% until we do support the long-awaited NX system. So the price shall now drop from $50 to $20 until we are NX developers. In regards to this price it is only for the desktop and HTML 5 exports. If you are a Nintendo developer please contact me in the relevant areas for a free copy of the IDE & Engine. PawByte looks forward to seeing your creations in the wild!